Much of the team is now focused on getting DCS World 2.0 and the Open Alpha release of the Nevada map ready for launch in late November 2015. There are a few items we are still cleaning up, but all looks on track. Many thanks to all those that entered the October screenshot contest. You guys submitted many great entries! We will now be creating a page to allow you, the community, to vote and decide the winners. Standby for more contests coming soon. We are excited to announce the opening of registration for our first on-line tournament: DCS "MiGs versus Sabers", which will happen from 13 to 22 November 2015. This will later be following by other, similar on-line tournament. Participants, who own both modules, could choose their ride of choice for this tournament. Registration will take place in the "MiGs versus Sabers" topic in the "Tournaments" section of the Eagle Dynamics forum between 6 and 12 November 2015. Featured for this event, we are offering a 30% discount on both DCS: MiG-15Bis and DCS: F-86F Sabre between Friday, November 6th 1500 GMT to Monday, November 16th 0900 GMT. Today we are very excited to announce that the DCS: NEVADA Test and Training Range map Open Alpha is nearing release. A massive amount of time and effort has gone into this project and we are looking forward to having it in your hands very soon. Take advantage of the pre-sell price now, before the savings vanish in a short time once the Open Alpha is released. DCS World War II continues to move forward following the release of the P-51D, Fw 190 and Bf 109. These modules have set a gold standard for simulated World War II combat aviation. We are now though in the final stages of preparing for the release of our next DCS World War II module… DCS: Spitfire Mk IX! In the tradition of our previous three warbirds, the Spitfire will embody a professional level flight model, accurate cockpit systems, highly detailed external model and cockpit, authentic sounds, detailed damage model, animations, and effects. Our engineers have created an amazing flight model based British archives of authentic wind tunnel tests. In addition to the Spitfire, we also realize that a World War II combat theatre is more than just the planes, it is also the combat theatre. In parallel with the aircraft, we are also hard at work on the Normandy map as well as many period ground units like tanks and other vehicles. We are committed to creating the most authentic recreation of World War II air combat ever done. To commemorate this news, we are offering a special bundle deal of the Fw 190 and Bf 109 modules. Get this bundle now with a 20% savings, plus you can get an additional 30% savings using bonus points. This can add up to a 50% discount! Please note that all DCS modules will work seamlessly in DCS World 2.0. However, when we move to DCS World 2.0, some module prices may increase. So, take advantage of these savings now. It’s been almost a week since the release of DCS World 2.0 and the Open Alpha of the DCS: NEVADA Test and Training Range map. We are very happy to see the overwhelming positive response to the quality of the map and the level of enjoyment it is providing you. We do though realize that many of you are having problems downloading and installing DCS World 2.0 and the Nevada map. Our engineers are working to improve this and we are adding new file servers to improve this situation. Thank you for your patience. The Alpha release of the Nevada map has been very useful test for us to plan later, large releases. Although a lot of the public focus has been on DCS World 2.0 and the Nevada map this past week, we continue to update and improve DCS World 1.5. Once we further debug version 1.5 and we make the Caucasus map compatible with DCS World 2.0, we will merge 1.5 content into a unified version 2.0. Next week though we plan to release a 1.5.2 update. Over the past week, we have been keeping a very close eye on bug reports and have noted them in our bug tracking database. We are now in the process of addressing those bugs in order to bring the map from Alpha to Beta. We expect to bring you the first Nevada map update next week. This weekend’s sale will begin on Friday, December 4th at 1500 GMT and last until Monday, December 7th at 0900 GMT. For some great Nevada map action, an F-15C, Su-27, A-10A and Su-25 bundle will take 40% off the price of each individual module, plus you can take off an additional 30% using bonus points. This can provide you a 70% savings! A hearty congratulations to the three winners of our 2015 Screenshot Contest! There were many wonderful entries, but in the end we had to pick just three! Though, there are some other nice pictures which you may use for posters or somehow else.. Enjoy! Corrected performance of Super 530D and Magic 2 missiles. Work continues on the L-39 with the primary focus being on the ZA version. Once the ZA version is complete, we will also add the new training missions and move the L-39 out of beta. Ver. 1.2. This is the current released (stable) version of the game that includes all modules except the Nevada DLC map and L-39. It however uses our older graphics engine. Ver. 1.5. This version includes all the same content as Ver. 1.2, but uses the new graphics engine. At the end of December 2015, we plan to move Ver. 1.5 out of Open Beta and make it the new released (stable) version. At that time, Ver. 1.2 will no longer be updated and supported. Ver. 2.0. This version uses the same, new engine as 1.5, but ONLY works with the Nevada DLC map at this time. We are continually updating the Nevada DLC map now using this version. For now, Ver. 2.0 is being used as a testbed for the Nevada DLC map. Once versions 1.5 and 2.0 are debugged and working well next year, we will integrate them into a common Ver. 2.0 release (stable) version that will include both the free Caucasus map, the Nevada DLC map, and future maps. At that time, we will drop Ver. 1.5 and Ver. 2.0 will be the only supported DCS World version. Over the past two weeks, we have seen a lot of questions regarding how to download and install the Nevada map, for those that purchased it or got it free as part of the A-10C Beta program. For those that missed the answers on our forums, here is a review. Install DCS World 2.0 and open the Module Manager. Please look in your Available DLC / Terrain page for the listing of the map with an install button next to it. If you do not see it, please run Repair DCS World 2.0 Open Alpha from your Windows Start Menu / All Apps / Eagle Dynamics and then look again. On this page, you will see a button entitled SHOW SERIAL NUMBERS. Please press this button for your free key. Last edited by Chizh; 12-11-2015 at 02:51 PM. Created by “Baltic Dragon”, The Enemy Within is a story - driven campaign that puts you in cockpit of an A-10C Warthog, sent as a part of small US detachment to Georgia in order to help contain a growing threat from a terrorist organization calling itself the “Caucasus Liberation Army” (CLA). As the story unfolds, you will be faced with a variety of challenges, including close air support, precision strikes, combat search and rescue, anti-ship strikes and even air to air combat. Striving to be as realistic as possible, the units featured in the campaign are based on their real-life counterparts. It also uses a sophisticated radio control system, meaning that you have to tune your on-board radios to the correct frequency to be able to hear more than 670 voiceovers included in the campaign. There are also over 80 pages on FRAGOs (fragmentary orders, based on the ones used by US Air Force), 50 pages of briefings and 40 maps and recon photos designed to help you successfully finish all the 21 missions. To commemorate the launch of The Enemy Within Campaign, you can reduce the price of DCS A-10C up to 50%(! ), by spending your bonus points. Starting Friday, December 18th at 1500 GMT and lasting until Monday, December 21st at 0900 GMT. DCS: M-2000C Coming Next Week! RAZBAM’s DCS: M-2000C is now undergoing final testing prior to its Open Beta release next week. This Open Beta will work with both DCS versions 1.5 and 2.0. Once the Open Beta is released, the pre-purchase sale price will end, so get your copy now and treat yourself to this outstanding new entry to DCS World. Happy holidays and have a wonderful New Year’s! I know you are all anxious to get your mittens on the M-2000C and we are getting close. As said in the newsletter today, we started internal beta testing just today. While the team is finding bugs, there is nothing too serious so far. In addition to testing the module though, there are two other big items that need to resolve: First, we are awaiting final missions and a quick start manual from RAZBAM. Once they are delivered, we should be good-to-go content wise for an open beta. Second, we need to assemble new versions for both 1.5 and 2.0 that allows the M-2000C to function. Given this, an open beta release of the M-2000C next week is quite feasible, but we cannot give an exact date given that we just started testing the module. Just to give your F5 keys a break, we plan to launch DCS: M-2000C on 25 December 2015 if all goes well this week. Didn’t get the Christmas gift you wanted today? Got some gift cash needing a home? Starting 25 December at 1500 GMT time and lasting until 04 January 2016 at 0900 GMT, we are having our annual DCS World sale! Get 30% off on most DCS modules. For those in the Eurasian Economic Community, the sale will start 30 December till until 02 January 2016. Starting 25 December 2015, the open beta of DCS: M-2000C by RAZBAM will be available for download. Note that DCS: M-2000C will work with DCS World versions 1.5 and 2.0 (Nevada DLC map required). Due to changes in the DRM system of the DCS M-2000C module, all the users who purchased this module and obtained a key in the electronic shop at the RAZBAM site need to exchange this key for free for a valid key at the DCS site. 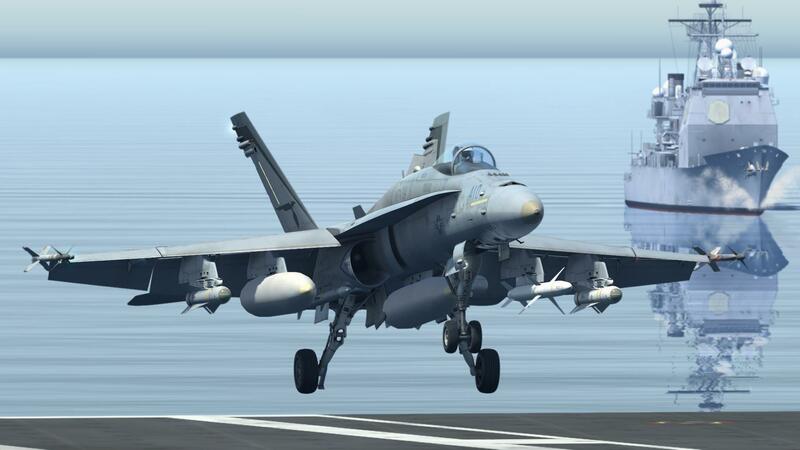 To do this, follow the link https://www.digitalcombatsimulator.c...sing/exchange/, enter the key obtained at the RAZBAM site, after this you will receive a new key. Additionally, a letter with the new key will be sent to you. Have a wonderful holiday and upwards on onwards into 2016! Last edited by Chizh; 12-25-2015 at 01:39 PM. Got a bunch of bonus DCS bonus points to use? Here is your chance! Starting 08 January at 1500 GMT time and lasting until 11 January 2016 at 0900 GMT, use your bonus points to discount most DCS module up to 50%! 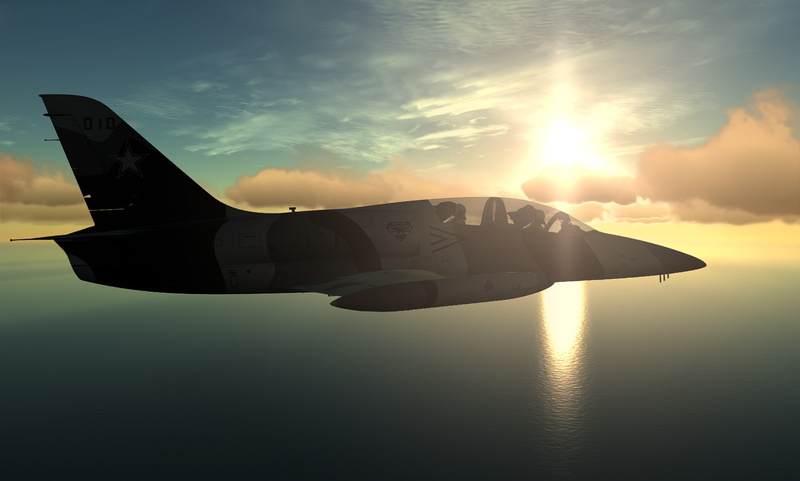 We have been making great progress on the L-39 Albatros Open Beta and we are now nearing the end of the open beta with the upcoming release of the L-39ZA version and the interactive training missions. Both the Su-33 and MiG-29 are getting some love! 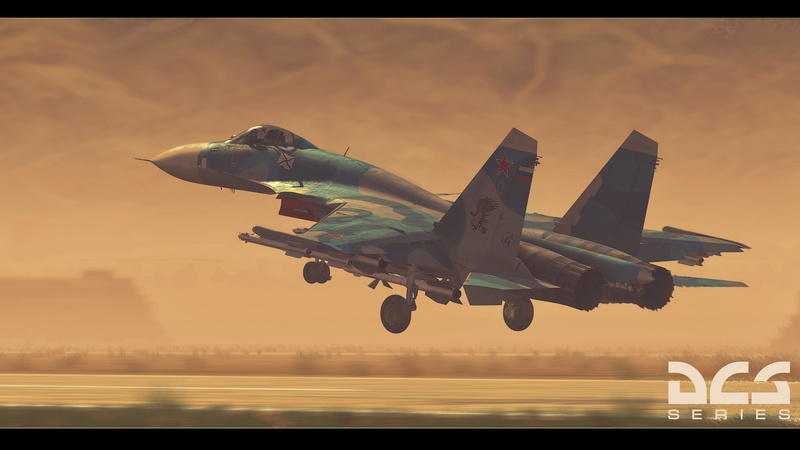 We are working on the Professional Flight Model (PFM) for the Su-33. This will be based on the Su-27 PFM, but will be adapted for weights, the tail hook, and its distinctive aerodynamic features. Once we complete the flight model of the Spitfire IX, we will begin work on a new flight model for the MiG-29. Speaking of the MiG-29, we are also completing work on an all-new external model! Last edited by NineLine; 01-09-2016 at 03:04 PM.